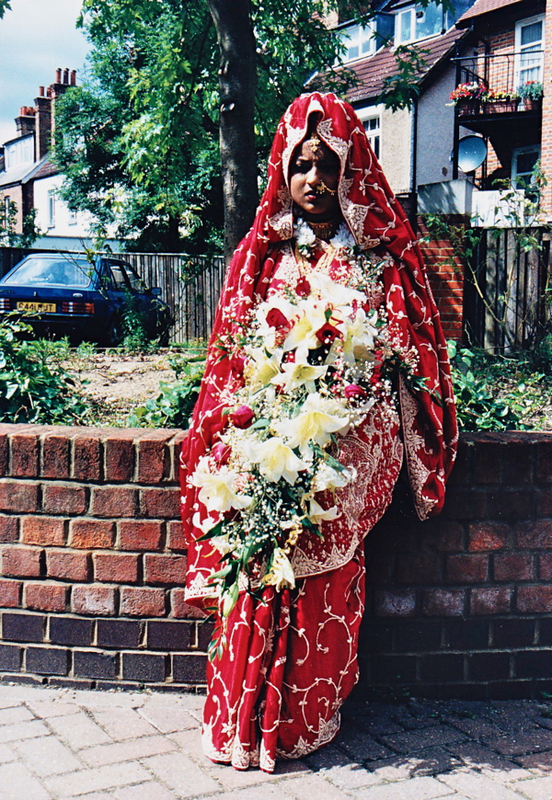 This photograph by Dilruba Khanam of a Bengali bride in East London fascinates me with its unlikely combination of lyrical and urban realist elements. The bride in her luxuriant wedding clothes sitting beneath a tree might be an image from a classical miniature painting, if it were not for the satellite dish and the car – which place the picture precisely in the here and now. And when Dilruba told me her principal subjects were fashion and politics, it confirmed the source of the dynamic tension that enlivens this extraordinary image. Yet when Dilruba told me her story, I realised that as much as it reflects aesthetic choices, her remarkable sensibility is the outcome of her own struggle to wrestle freedom from the tyranny of circumstance. 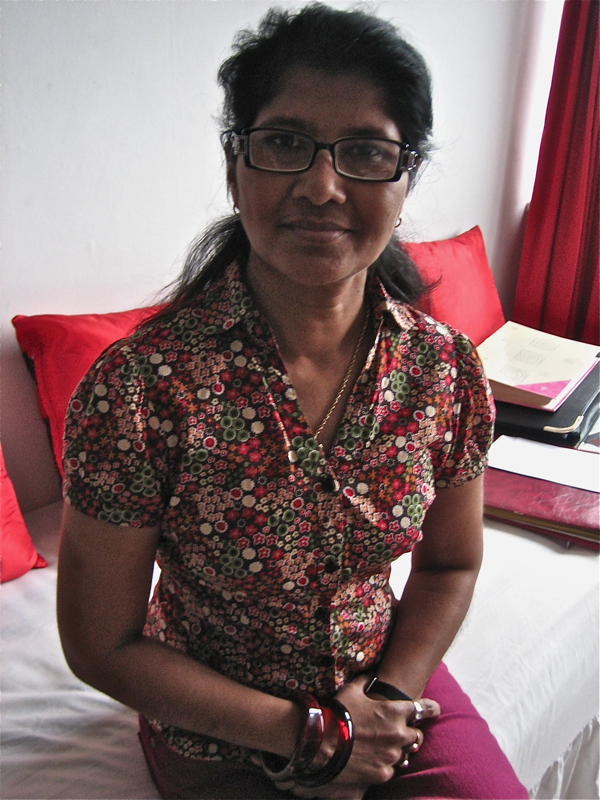 At sixteen years old, Dilruba left home and went to live in the YWCA. “It was difficult for me to survive without family support,” she revealed in unsentimental reminiscence,“I was desperate to find a job, and I went from office to office asking. At that time, I had long hair and I was good looking, and I saw their dirty thinking about me, so I realised I had to protect myself. 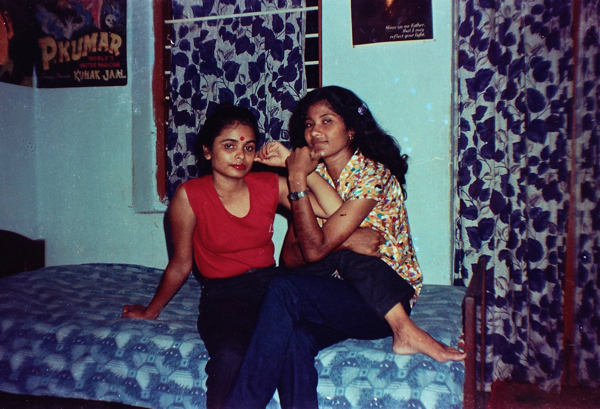 I cut my hair short and me and my best friend Javine – who was the first professional female magician in Bangladesh – we got training in judo, karate and shooting guns.” At first, Dilruba pursued athletics but it was photography that became her career. 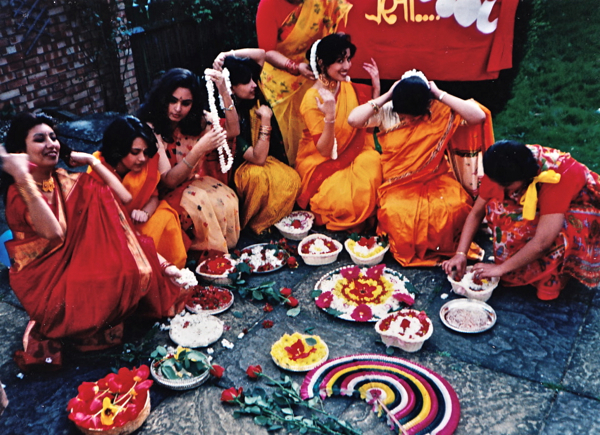 Once she had some training, Dilruba won freelance commissions from newspapers in Dhaka and became Bangladesh’s first professional female photographer, covering politics and fashion. One day, when Audrey Hepburn came to Bangladesh, Dilruba went along to take photographs of a star who herself once portrayed a certain youthful independence. 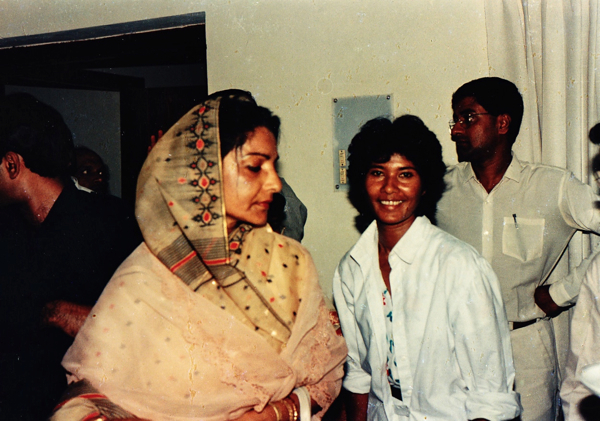 But events took an ironic twist when the other photojournalists, who were all male, took pictures of Dilruba with her short hair and Western casual clothes, making her first prominent public appearance as a professional photographer – which ended upon the front pages of the national newspapers next day instead of Audrey Hepburn. An unexpected turn of events, but one – I like to think – that Audrey would have savoured with amusement. 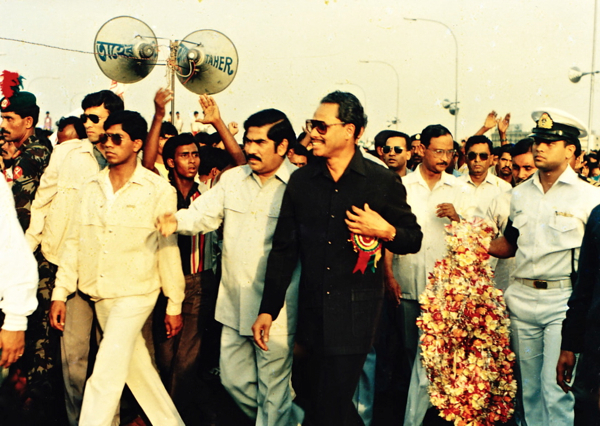 Thus, Dilruba came to the attention of Rowshan Ershad, First Lady of Bangladesh and wife of President Ershad, who extended her personal support, appointing Dilruba as her official photographer upon all engagements for the next two years. And, almost like fairy tale, a whole new world of success opened up in which Dilruba was invited to Bollywood to photograph the stars, becoming accepted into the world of celebrities, singers, dancers, actors and models who took her as an equal and in many cases as a friend. Yet Dilruba could never forget the wider political picture, and when students at Dhaka University protesting against the ruling party were beaten up, she found that as a woman photographer she alone was able to get into the hospital to photograph their injuries. 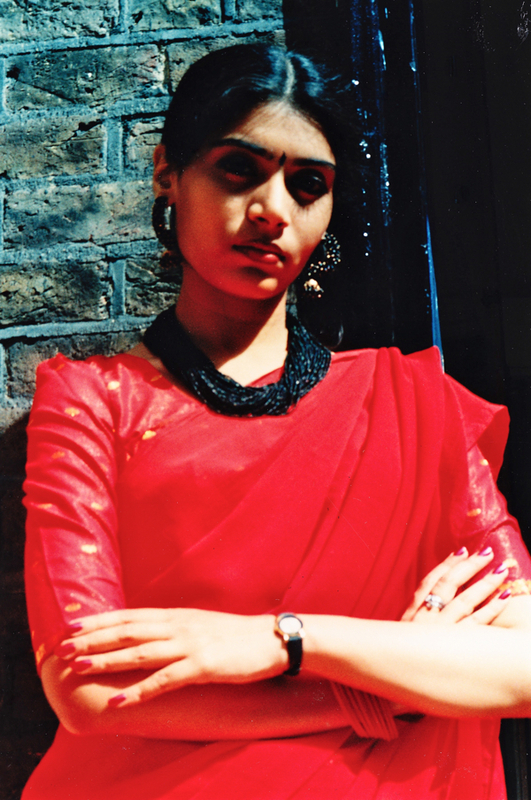 Today, Dilruba Khanam is happy to live a relatively low-profile life in the East End, concentrating on the subjects of her photography rather than becoming a subject herself – but there is an intensity in her portraits of women, a detachment in her pictures of politicians, and a frequent use of passionate flaming reds, that – in different ways – all speak of the challenges she overcame on her journey to get here. 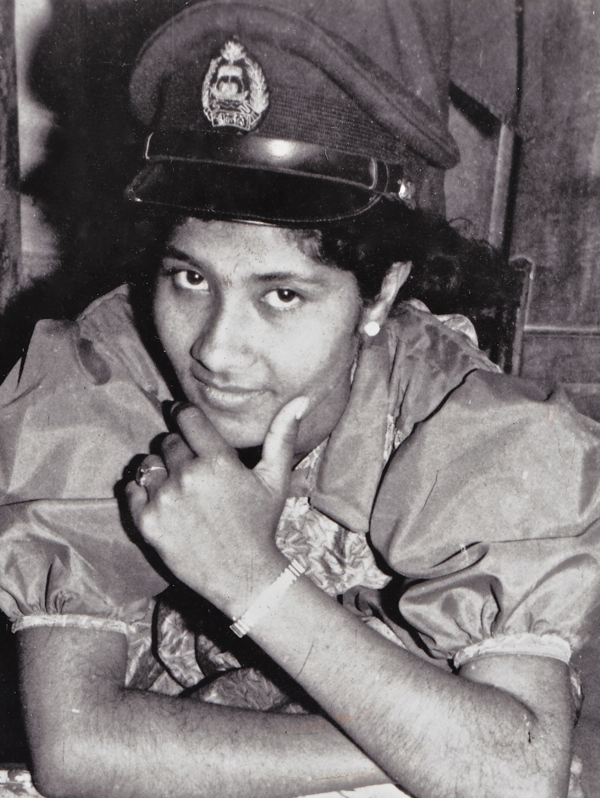 Dilruba as a teenage rebel in a Bangladeshi policeman’s hat. 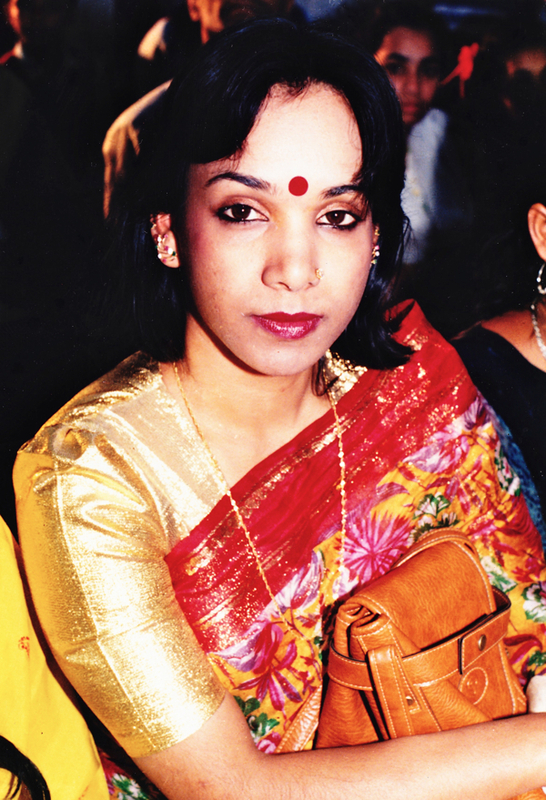 Azra Javine, the first female magician in Bangladesh with Dilruba the first female photographer in Bangladesh, 1987. 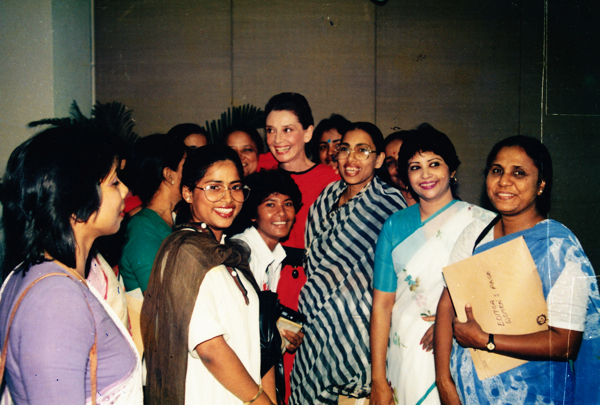 Dilruba with Audrey Hepburn in Bangladesh, 1989. A famous dancer from Bangladesh. 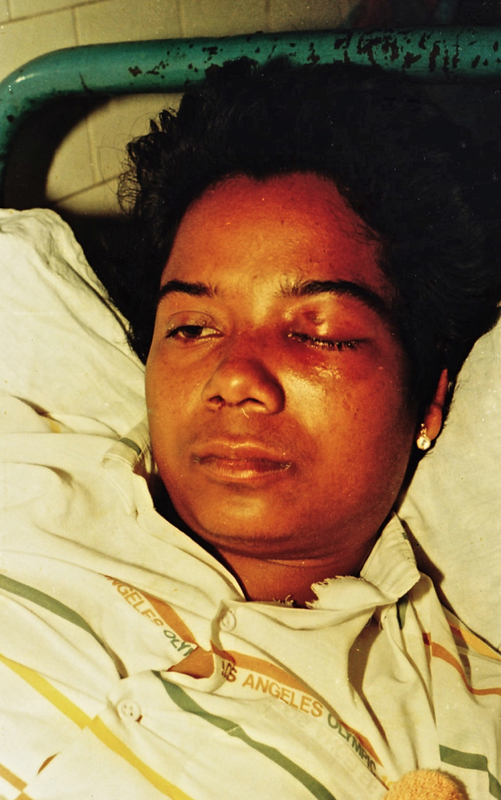 A student of Dhaka University beaten with chains by the Jatiotabadi Chattra Dal (the student front of the Bangladeshi National Party), 1988. 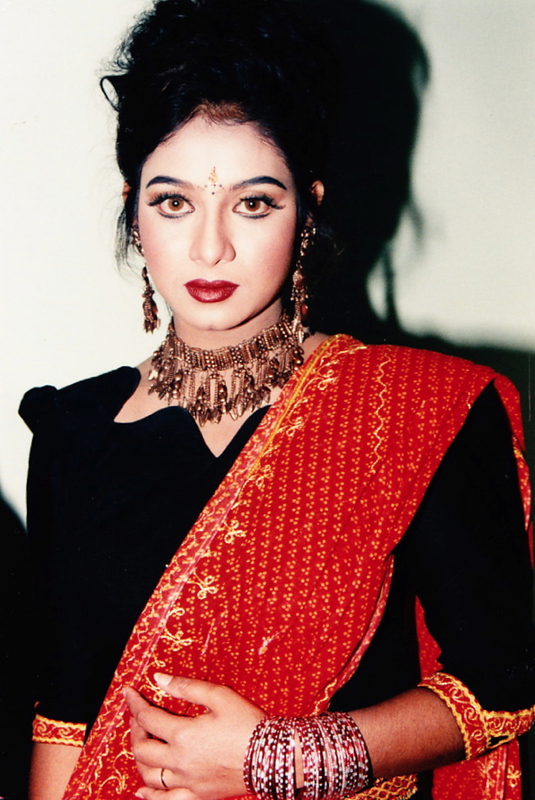 Yet another bruised girl of Dhaka University, 1988. 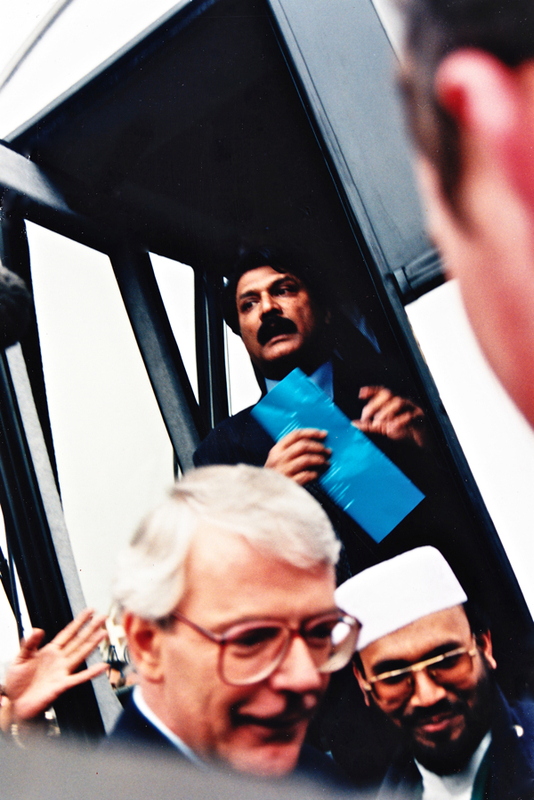 John Major in Brick Lane, 1995. 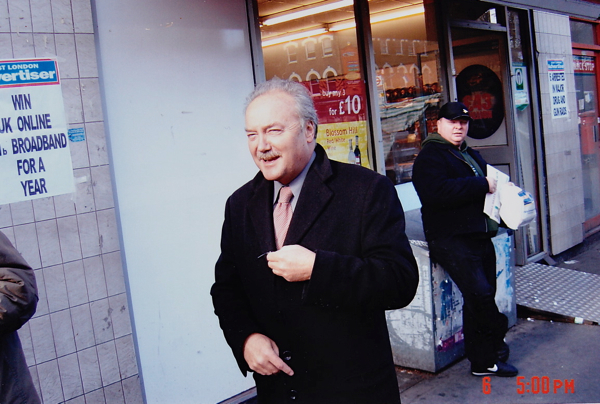 George Galloway in Whitechapel, 2009. Would love to see more of your photographs. and the colours are amazing. Very intresting work. Exciting photography lot of variety and mixture. Wish you all the best with your work. We would like to see more of your work on display. Your article brings back feelings of nostalgia – not sure why because this woman is before my generation, but maybe it’s something to do with growing up in Brick Lane in the 90s and having to forge your own path against certain patriarchal attitudes. Times have changed a lot, but that picture of the bride takes me back to those days when a lot of the young girls, my friends, were being married off in their teens. I guess you always look back in a rose-tinted sort of way; the grimy gritty poverty wasn’t that bad. And the other thing is, you still feel like you’re in a fishbowl because there are these white middle class powsh folk interested in our exotic poor lives.